It's Show Time - Agricultural Show time here in the Riverina Highlands. First Show on the schedule? Gundagai. Last year we visited the Gundagai Show. We watched the pretty ponies and their prettier riders, watched the old timers and their dogs handling sheep and inspected the vegetable exhibits. This year I am going to put in some entries. (Just in case there is some confusion - last year I entered the Adelong Show only - this year I am going to submit entries in both Gundagai and Adelong!). Of course I probably wont enter all of these classes - it will very much depend on what survives this weeks week long heat wave! But I guess everyone else is in the same situation. 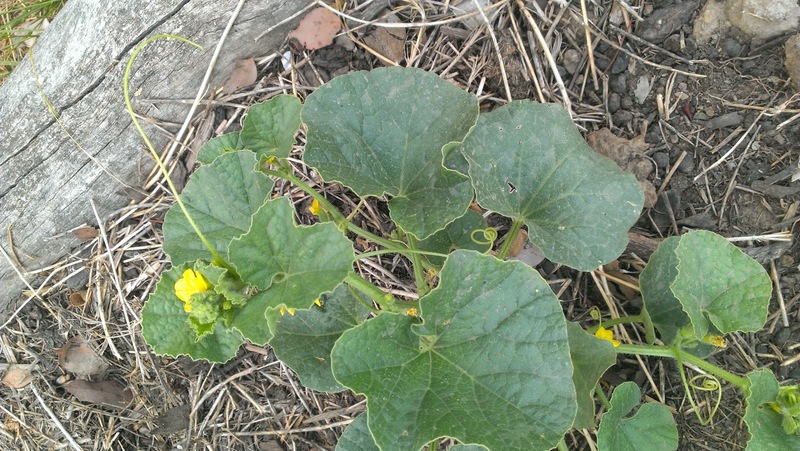 Yesterday I inspected my zucchini plants to see how entries in classes 26 and 27 were going. 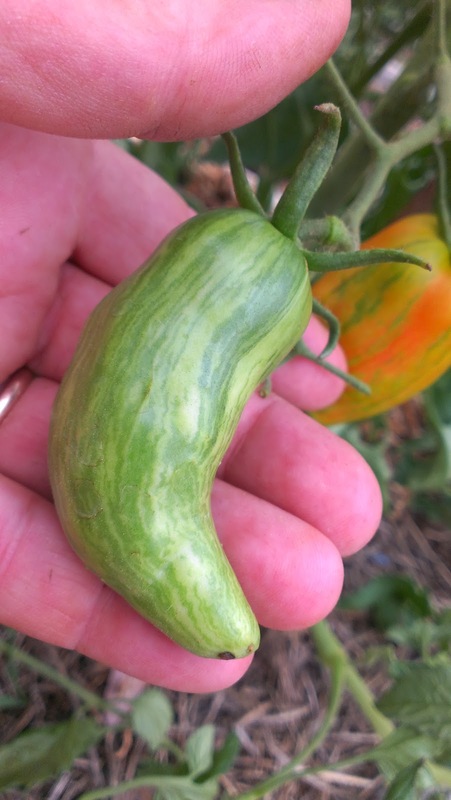 I've three different types of zucchini in, so I guess if they classify the 'Costata' as a green zucchini, there is potential for three entries into those two classes. 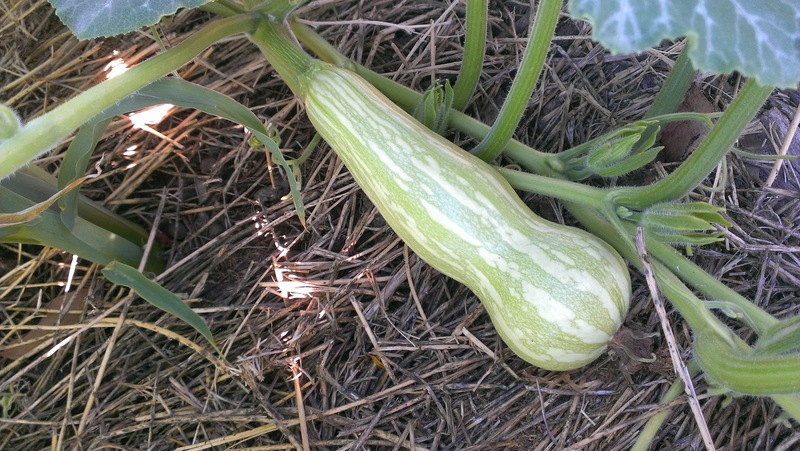 But clearly getting three zucchini of roughly the same size on the right day is going to be a challenge! The peaches are ripening right now. 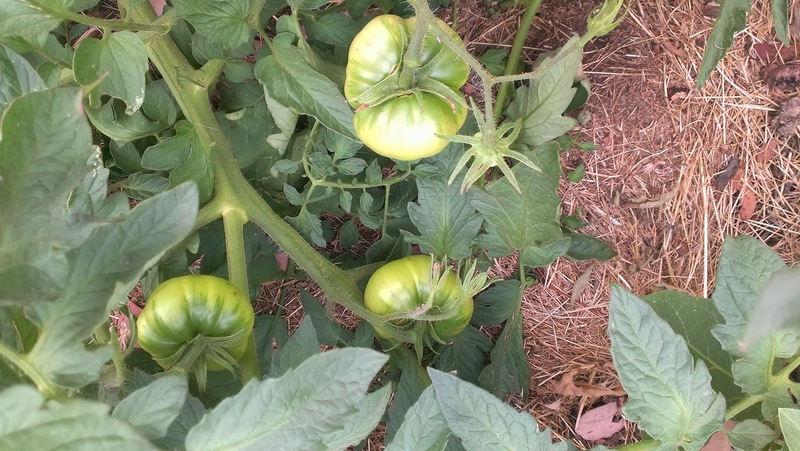 I am hoping they will be ripe in enough time to make and age some jam. Of course I could buy some peaches, but I'd really like to use our own home grown peaches if I can. Today I made my batch of Tomato Jam, mine has roasted capsicum and a little chilli. Last year the same recipe won second prize at the Adelong Show but I am sure that the competition at the Gundagai Show will be tougher! I'll report back on my show preparations and let you know how I'm getting on. And after a little taste test, I might be offering some jars for sale. This jam goes really well with cold lamb! 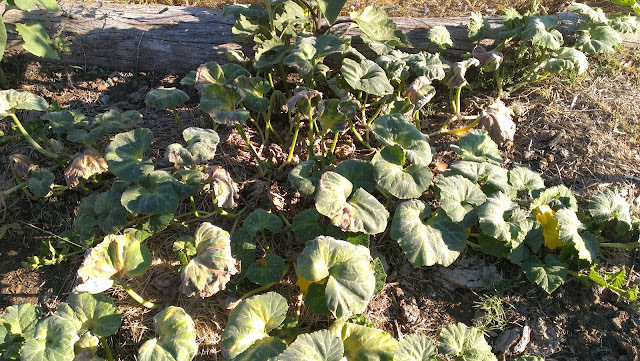 Day three of a week-long heat wave and the pumpkins seem to be holding up relatively well. 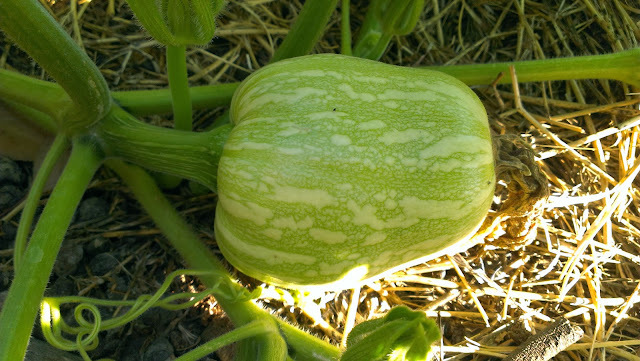 I have two varieties in - Butternut and Jap. 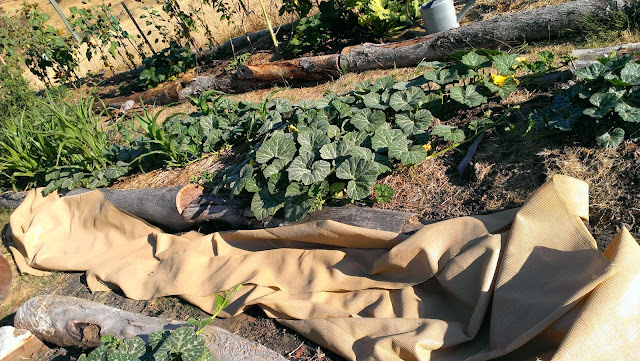 You might notice the bundle of shade cloth lying beside the pumpkin bed? That's why the pumpkins are surviving I think. Uncovered and I'm sure they'd fry! I have photographed the pumpkins in the early morning thus the shadow of the photographer (apologies!). I am leaving the pumpkins uncovered until midday to allow any pollination to happen and then I cover them with a 90% shade cloth until about 8pm when they get uncovered again. That's the approach I'm taking anyway, let's see if this method works for the rest of the week. Temps are supposed to stay in the high 30s and low 40s until Saturday! 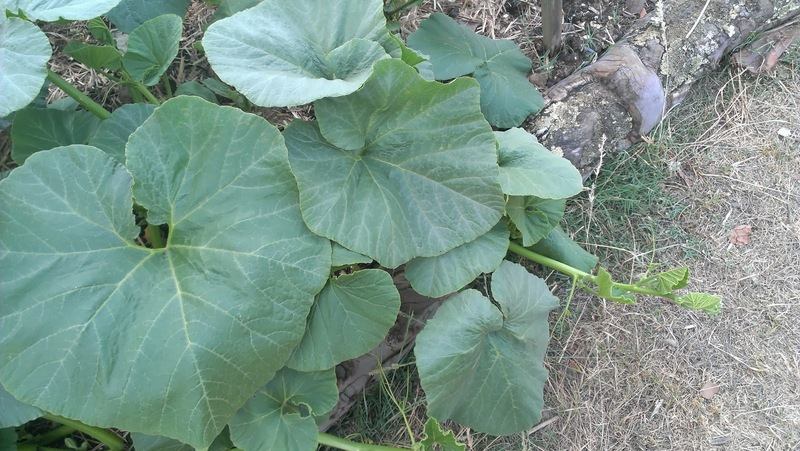 These two plants have started to develop little pumpkins. Let's hope the shade cloths will enable these little fellas to continue their development. 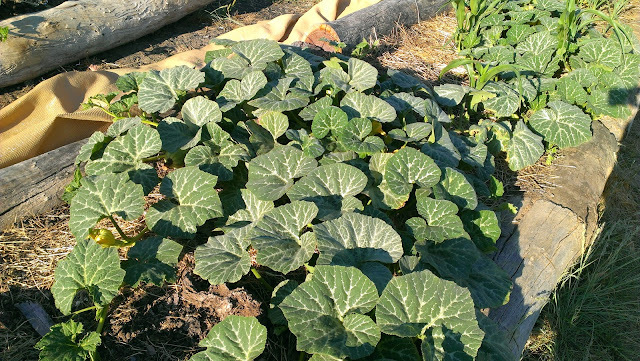 Other pumpkin vines that were reasonably advanced during the last period of belting heat did not get the shade cloth treatment. Sad specimens aren't they? They are still alive but have never recovered and are certainly not thriving enough to produce. The only reason I am leaving them in the ground is that at least they are providing some shade to the roots of a nearby apple tree. 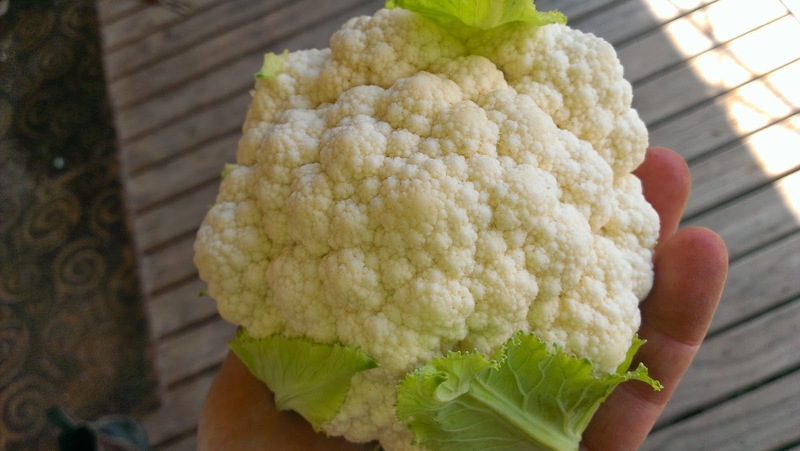 The longer I garden the more I think that the oft said tip about vegetable gardening - the one that says 'plant your vegetable garden in full sun' - is just clearly wrong for an Australian summer. I find that most of the plants in the vegetable garden do so much better in considerable shade, especially when I can't freely water due to relying on tank water alone. 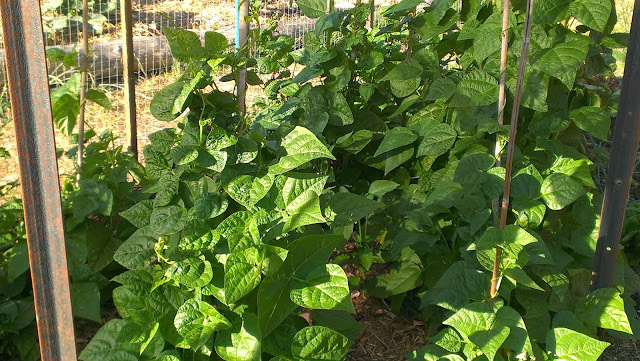 The photo below is of my haricot beans and cucumbers under a 90% shade cloth which remains on them all day. They are doing very well. 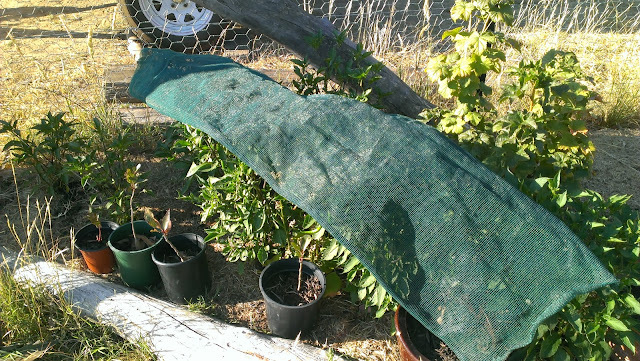 Even some of my chilli plants are benefiting with a little shade from an off-cut of a shade cloth. The only plants that seem to actually thrive in the extreme heat and radiation are the eggplants. These look to be in the shade but aren't. They are just a little shaded from the morning sun. 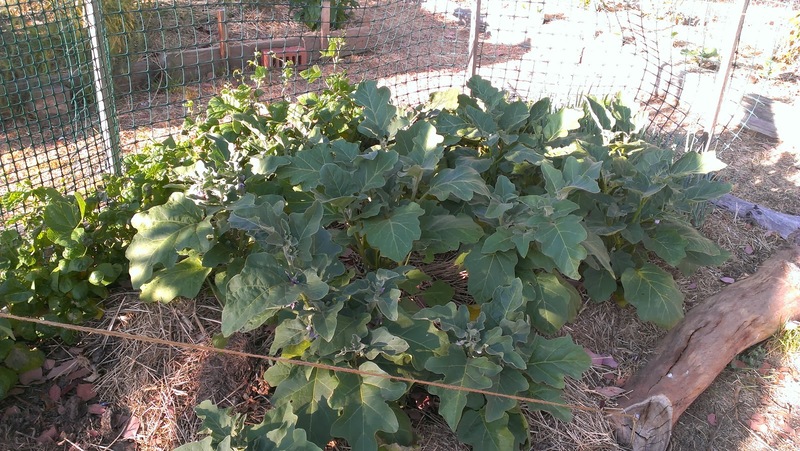 How is your garden surviving the heat wave? 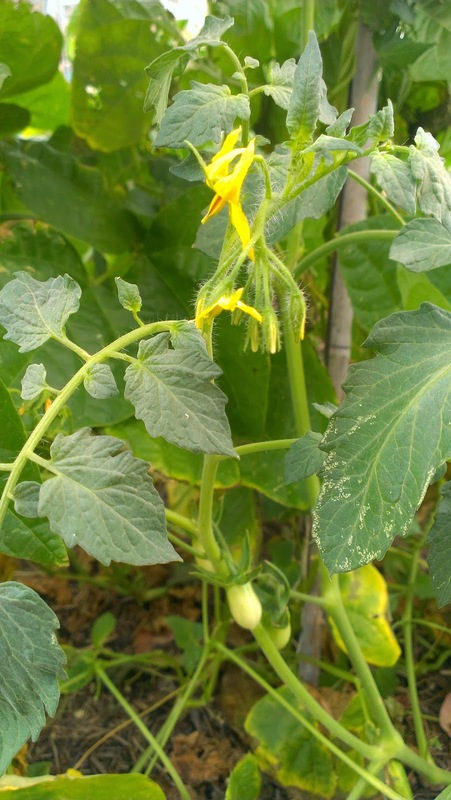 What things are you doing to protect your plants? A whole week without posting! 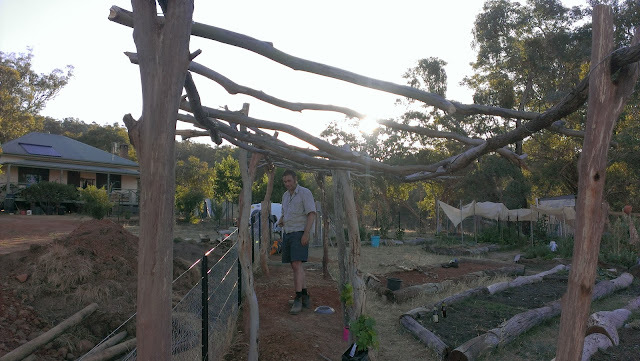 We've been busy doing more yard work, taking the first of our lamb orders up to Sydney and to a local Farmstay, maintaining the vegetable patch, and over the last day or two skulking inside to hide from the punishing heat. 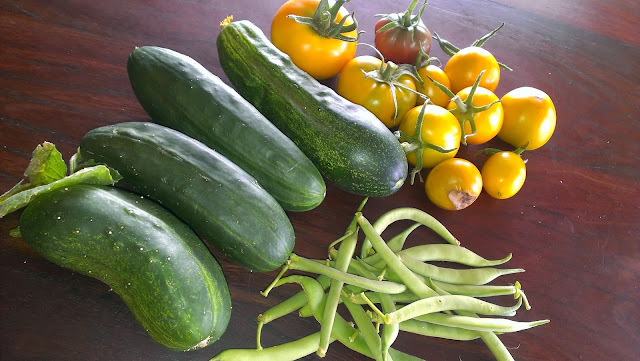 To beat the heat I did a little picking this morning and here is the result. 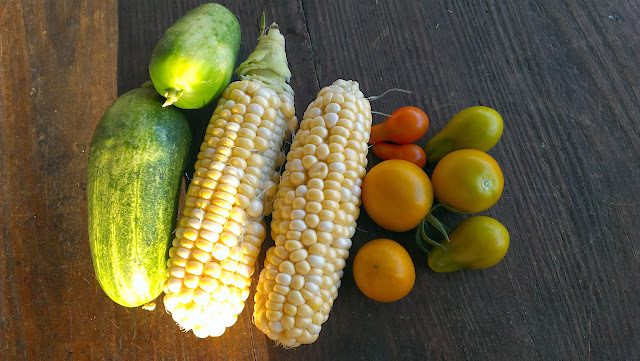 The cucumbers are Spacemaster, the corn Snow Gold and the tomatoes Red Pear, Green Grape and Jaune Flamme. Over the last week I have picked a little more corn. 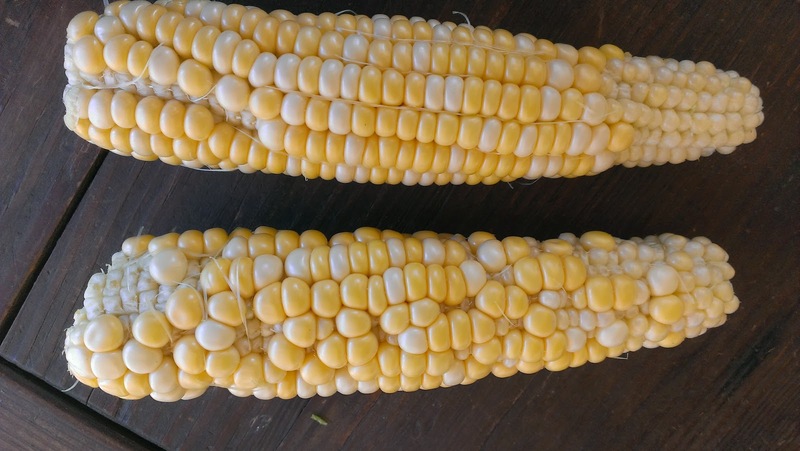 Even though not all nibblets are full the corn is so good to eat, sweet and tender and takes no time to cook. This is actually the best corn I have ever grown so while it is not perfect I am very pleased. I'm putting it down to chook pooh. 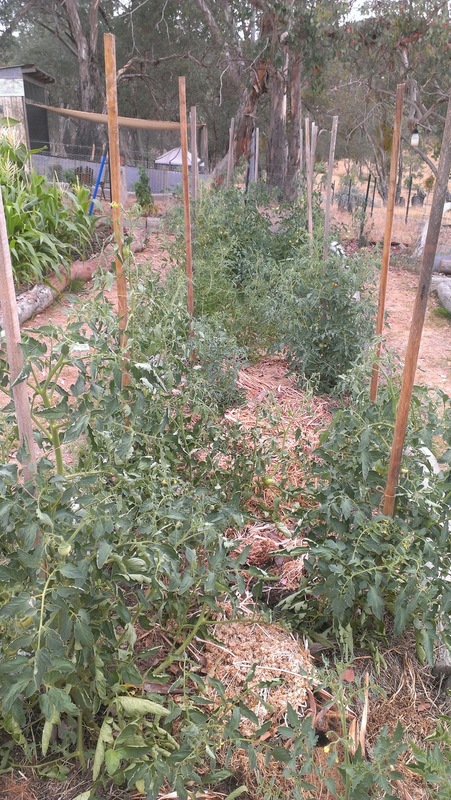 There have also been more cucumbers and I pick some tomatoes each day. 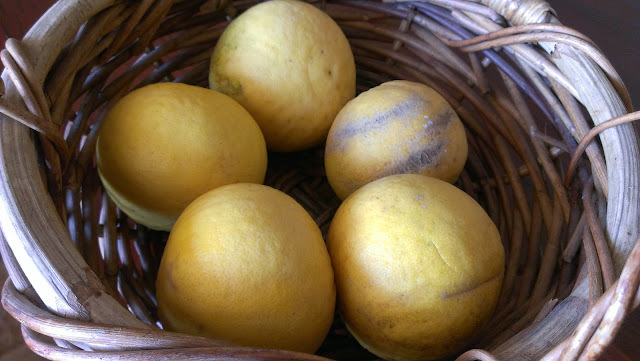 Some still have evidence of blossom end rot from the last week of heat but they are not too badly effected and are still delicious. These little beans are Hawkesbury Wonder. and from another we have received fish! With the local creeks low due to the dry spell they found it (relatively) easy to net a few carp including a massive one. We confess that we have not eaten the carp. Instead we have decided to use these feral fish to fertilise the vegetable patch. We hope that they neighbours don't mind!!! That's it from Highfield this week. Pop over to Daphne's to see other people's produce. I've been absent from the Harvest Monday blog party the last few weeks. Mostly because there was very little to show for my gardening efforts but also because Christmas and New Year intervened and I have taken very few photos of the pick. 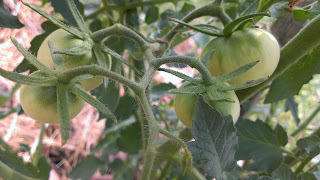 But today as I was picking for the evening meal I decided to take a snap. 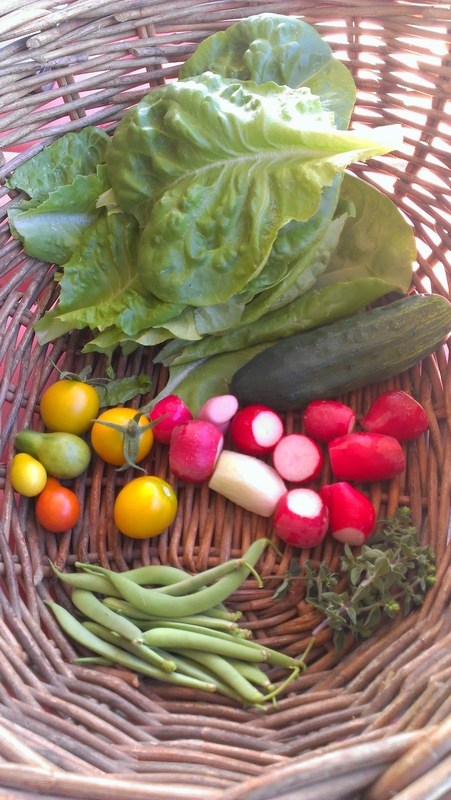 This little basket all went into a simple salad that accompanied a steak. I did pick more than this over the last week but this is the only photo. 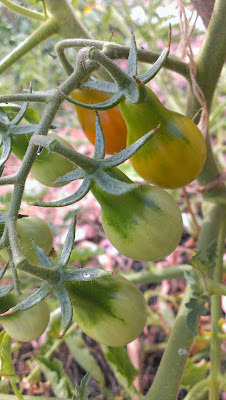 The tomatoes are Jaune Flamme, Green grape, Yellow Pear and Red Pear. The beans are Hawkesbury Wonder. The lettuce is a Butter lettuce (a little too soft leaved for me, I think I like my leaves more crisp). The cucumber is a Space Saver. I don't remember the radish variety. I also picked a little marjoram. I'm contributing this post to Daphne's Harvest Monday. Pop over hers to see produce from others' gardens. Sun worship temple? Healing centre? Huge calendar? Site of ritual sacrifice? How did they make this amazing structure using only found wood and twitching wire? "Easy peasy", as the ancients would say! 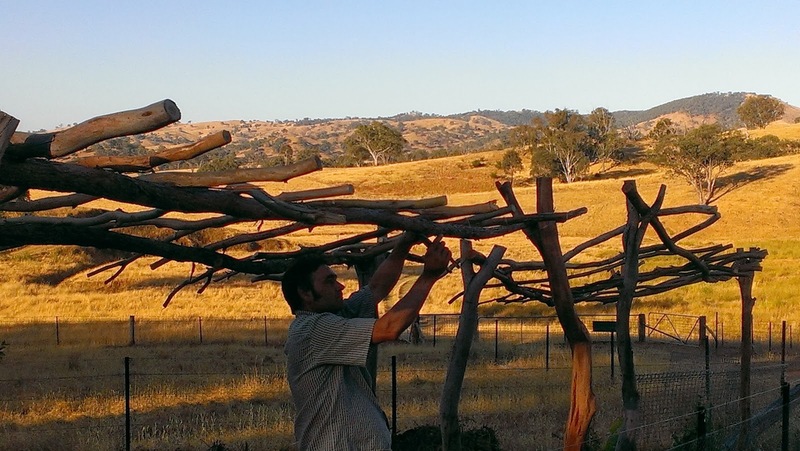 All you need is a farm truck, a Lad handy with chain and pruning saw, crow bar, screw driver and twitching wire along with blessing and encouragement from 'The Vegetable Queen' and in no time at all you have a Grape Henge! 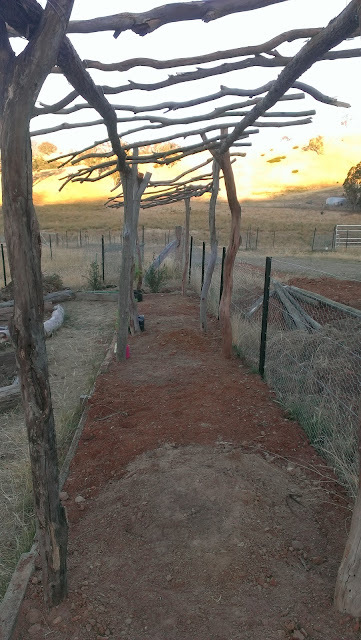 Our new grape trellis, located on the perimeter of Fortress Wallaby has been constructed and I am delighted. It's all wiggly found wood and a little wire. Not a straight line can be seen. This structure will form a frame for the four grape vines I intend to raise and the structure clad with large grape leaves will shade other vegetables beneath. "I see a bounty of grapes of different colours, green, pink and black. I see fresh grapes full of juice, I see dried fruit - perhaps a muscatelle at Christmas? 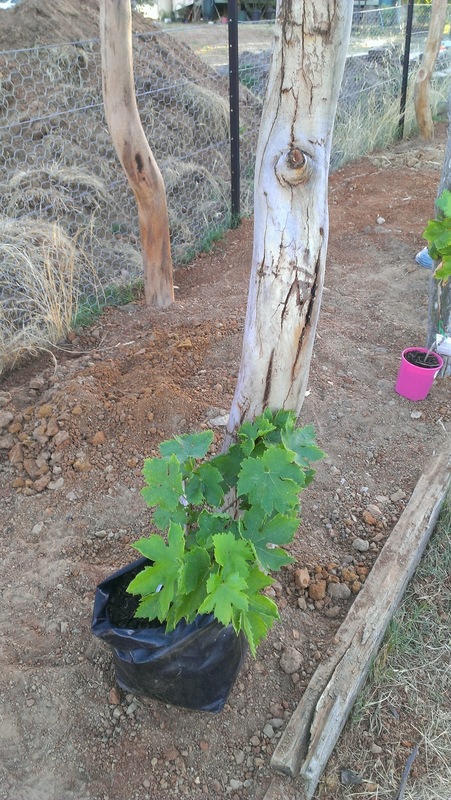 I see stuffed vine leaves with rice and preserved lemon, and I see shaded vegetables under the protection of the grapes of Grape Henge". 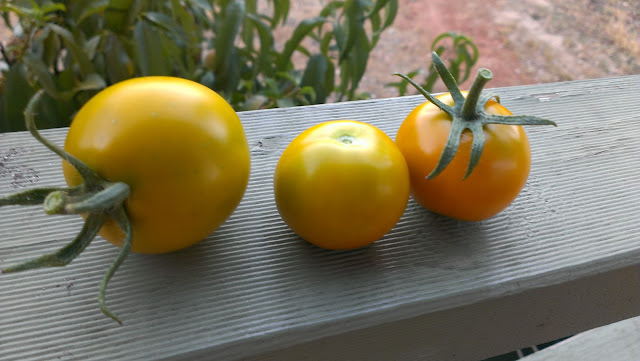 Last post I reported on two of the varieties of tomatoes I am currently picking. 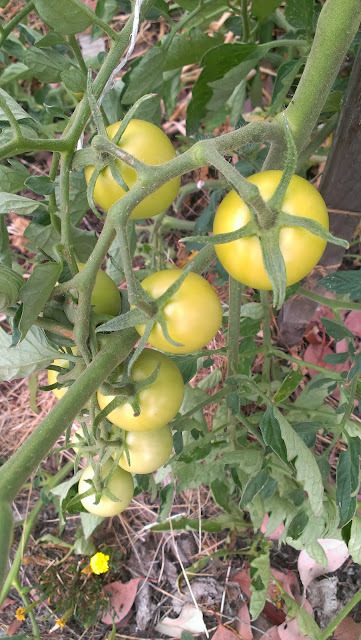 I have many other varieties yet to ripen. This year all tomatoes I put in were kindly provided to me, via the supply of seed by Yvonne. Her choices so far with the Jaune Flamme and Purple Cherokee have been spot on. These varieties have had great flavour and juiciness. Now I can't wait till some of the others ripen. The first Speckled Romans wont be far off now. One is already turning and others are developing their characteristic stripes. Why aren't they called Striped Romans? I am also waiting on the Green Grapes to ripen. This plant is the sole survivor of the frost snap in late October. I had several more in but alas they were burnt off. 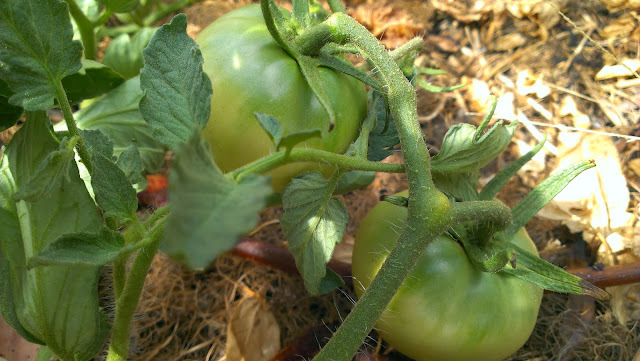 It's sometimes hard to know when a green variety is ripe isn't it? Other than a by giving them a little squeeze? Does anyone have a technique or tip? 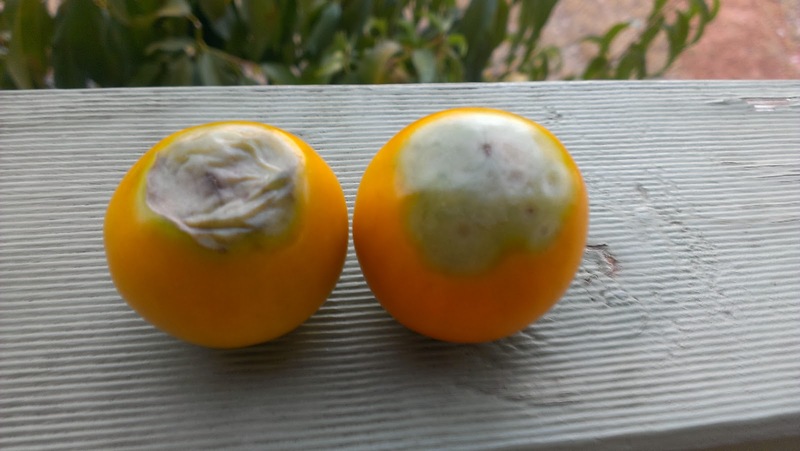 Verna Orange (which has a little bit of a Blossom-end rot problem - see the fruit's flat bottom?). Here are more Purple Cherokee on the way! 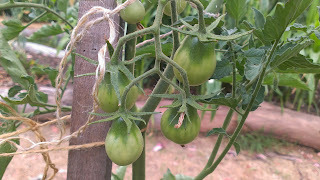 I am really looking forward to my tomato glut. Happy Tomatoeing everyone! It's taken a while. There has been late frosts, chaffer grub attacks on my borlotti and then very changeable weather followed by 5 days over 35 degrees. 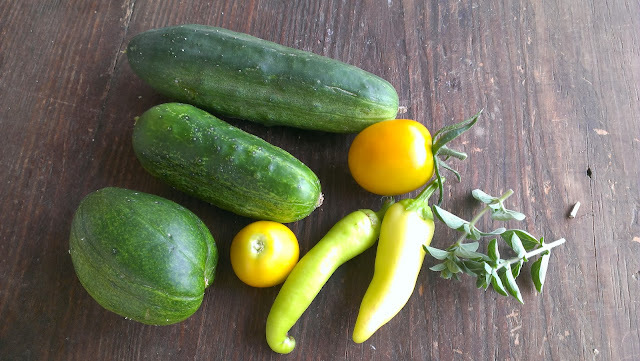 Finally however, there are some summer pickings. The pickings are very small right now but at least there are some. 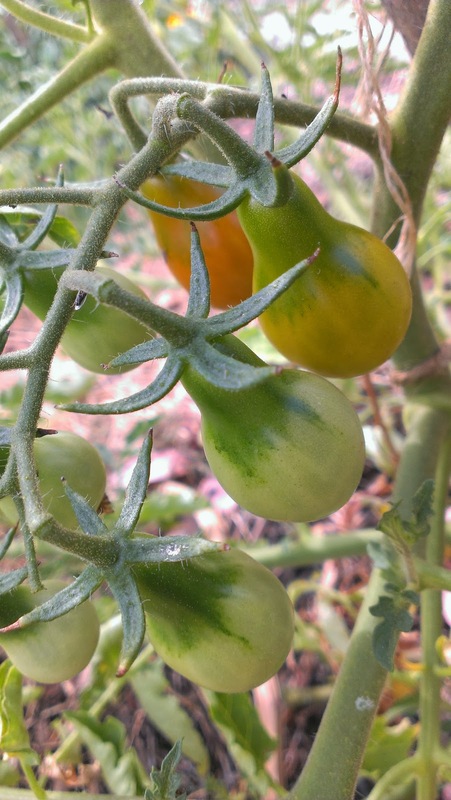 I have been picking about 2 or 3 Jaune Flamme tomatoes a day for a week now and they are delicious - they do apparently win lots of taste tests. Mine don't seem to be as orange as photos on the web suggest. They are more a dark yellow colour. Some have had a little blossom end rot - but that's pretty inevitable given the hot weather run we had. In any case, it's not too bad and easily cut off. The Jaune Flamme seeds were given to me by the lovely Yvonne - thanks so much, they are beautiful. 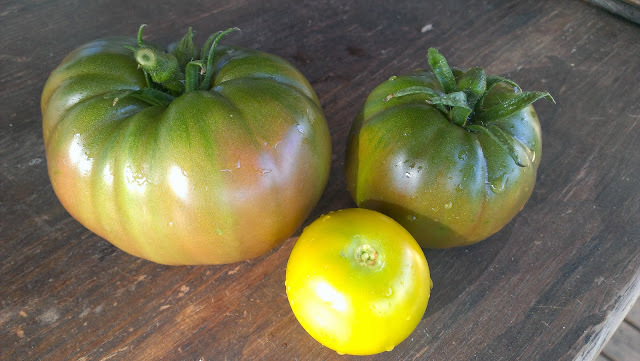 Then this morning I picked the first Purple Cherokee. They too were ripe and delicious. 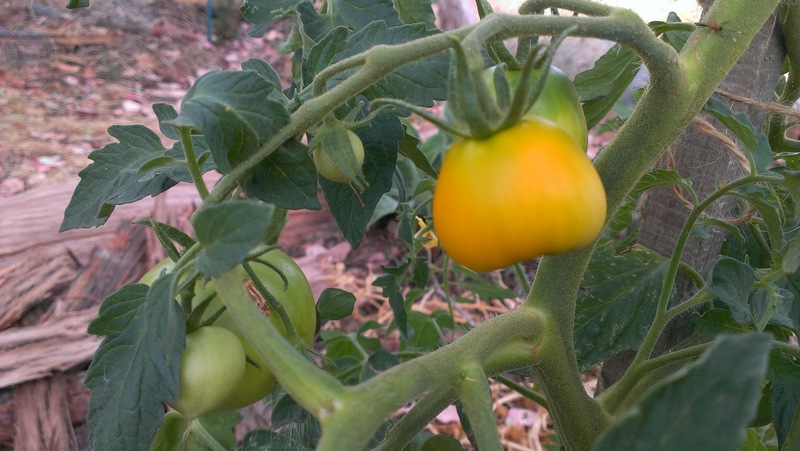 Again, all thanks to Yvonne for introducing me to this tomato. They are a bit wonky but as the plants mature it seems as though the fruit straightens out too. And there has been the odd yellow long capsicum and tip pickings of marjoram . The tomatoes, capsicum and marjoram went with leftover Christmas ham and home-laid eggs into a dish I call a rough omelette - a favourite easy dinner dish. How are your summer pickings going? Did you have the fabled Christmas tomato?